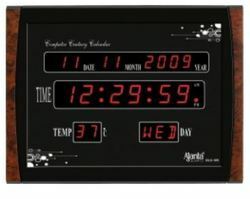 We are leading manufacturer and supplier of LED Wall Clock. - Color-RED , Optional Color:Green/Blue/Amber/White. 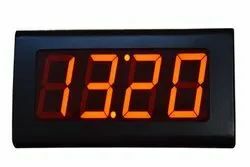 wing to the vast industry experience and in-depth knowledge of this domain, we are offering a huge collection of high-quality LED Clock to our valued clients. - This Blue Border LED Light alarm clock have the function of displaying Date, Time, Month and Temperature and playing music, which has been one of the essential clocks in our family.